ISLAMABAD: National Assembly Speaker Sardar Ayaz Sadiq on Saturday said that Pakistan wanted to strengthen relations with Afghanistan and work together for peace and prosperity in the region. Talking to the president of the Wolesi Jirga (House of People) of Afghanistan, Abdul Raouf Ibrahimi, with his parliamentary delegation in the sideline meeting during the speakers’ conference, the speaker said a peaceful and strong Afghanistan was in the vital interest of the region, particularly Pakistan. “Pakistan believes in mutual respect for sovereignty and territorial integrity of its neighbours,” he said while highlighting that the Pak-Afghan relations are entrenched in people-to-people contact, cultural affinities and shared interests. By active engagement of parliamentarians of the two countries, bilateral relations would further improve and strengthened, the NA speaker said. Ayaz Sadiq said that Pakistan is the largest stakeholder in a peaceful and prosperous Afghanistan and added that the future of both countries is linked. Speaking about the devastating effects of terrorism in the region, he said that both countries needed joint strategy and closer cooperation to address the root causes of terrorism. “Pakistan and Afghanistan are victims of terrorism besides suffering from the menace of extremism,” the speaker observed. He expressed the optimism that the visit of the Afghan speaker will prove a milestone in consolidating relations between the two countries. He urged the need for dialogue and regular interaction between the parliamentarians in order to promote harmony and better understandings. Afghan Speaker Ibrahimi underlined the need to enhance cooperation to strengthen the bilateral relations. The relations with Pakistan are of paramount importance in the Afghan foreign policy, he said, hoping that people on both sides of the Pak-Afghan border share their future in a peaceful and prosperous region. 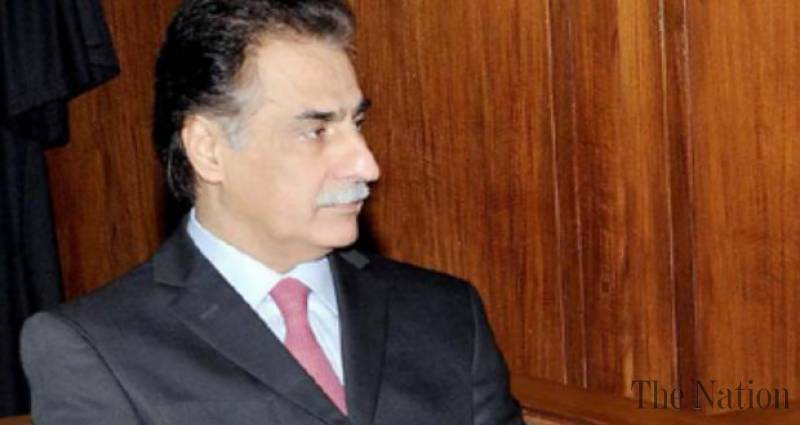 Appreciating Ayaz Sadiq’s initiative of organising the conference of six neighbouring countries, he expressed confidence that the conference will prove hallmark in identifying vistas towards common prosperity through increase regional connectivity. Earlier in the day, Afghanistan’s Abdul Rauf Ibrahimi and Turkey’s National Assembly Speaker Ismail Kahraman arrived at Benazir International Airport, Islamabad to participate in the 3-day Speakers Conference. Ibrahimi was received by Qaumi Watan Party (QWP) Chairman Aftab Ahmad Khan Sherpao while Ismail Kahraman was received by Commerce and Textile Minister Muhammad Pervaiz Malik. The Turkish speaker was accompanied by a 30-member delegation to attend the conference.